The burglar may be behind similar cases in Westminster and Huntington Beach dating back to 2009. 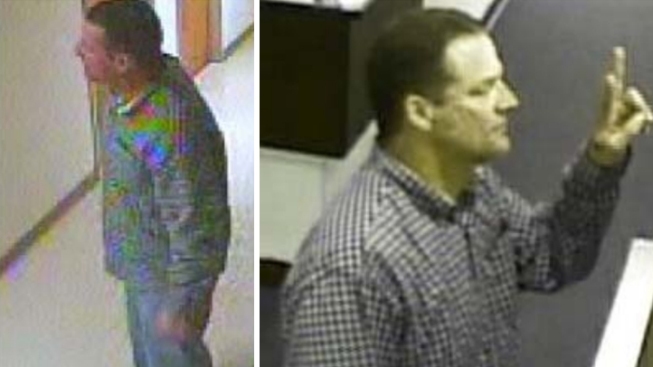 Police released surveillance photos of a man wanted in connection with a burglary at First Presbyterian Church of Westminster on June 3, 2013. Westminster police on Wednesday released surveillance photos of a man wanted in connection with a church burglary. Police said a man broke into the First Presbyterian Church of Westminster on June 3 and stole computer equipment. Surveillance video shows the burglar also attempted to grab cash from donation boxes. The man is suspected to be behind similar cases in Westminster and Huntington Beach dating back to 2009, police said. Surveillance videos from two prior incidents show a man matching the same description. Anyone with information was asked to contact the Westminster Police Department at (714) 548-3207.